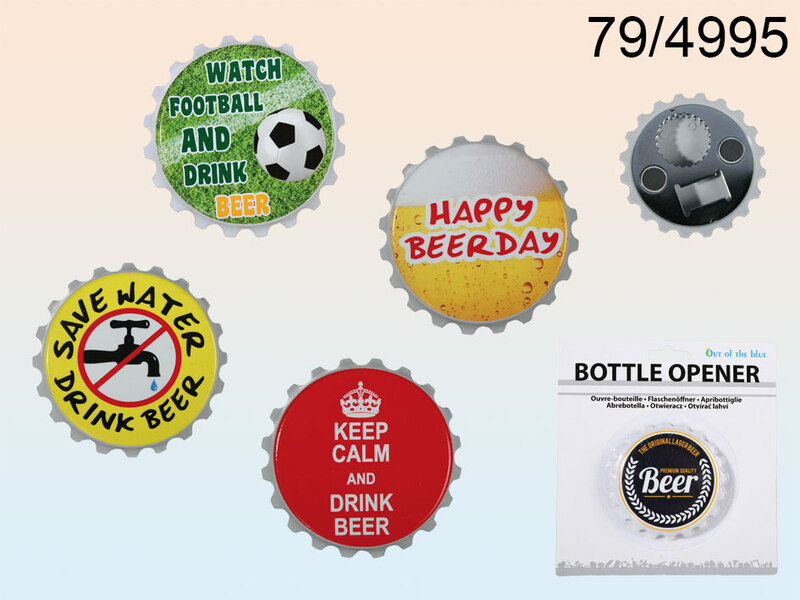 Amazing party item - a bottle opener that looks like a bottle cap. Funny signs and images make it even more cool. Owing to magnets it can be placed on the fridge and used whenever you need it. Assorted designs.